2 - NEW AGE FLAMENCO is one of the best local bands in the NW. Their high level of professionalism combined with their musical talent and skill set is rare in this profession. The variety of repertoire will satisfy even the most sophisticated of tastes. They created an unforgettable mood at our wedding that will remain with us and our guests forever. We are grateful for their performance and would recommend them to anyone. 3 - Awesome musicians!!! Thank you for sharing your "gift" with us...your listeners. What a Blessing. 4 - Oleg and New Age Flamenco! 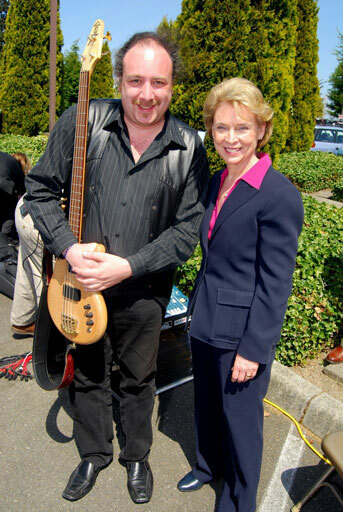 I would like to thank you for your incredible music on our wedding at the Columbia Winery on June 22nd 2003! We got our video couple of days ago and were watching it last night reliving the events of that day. The music was fantastic!It had so contributed to the overall success of the party! And for the crowd of quite different backgrounds and age as the one that was present at our wedding, you had demonstrated fantastic choice of music and very talented performance! 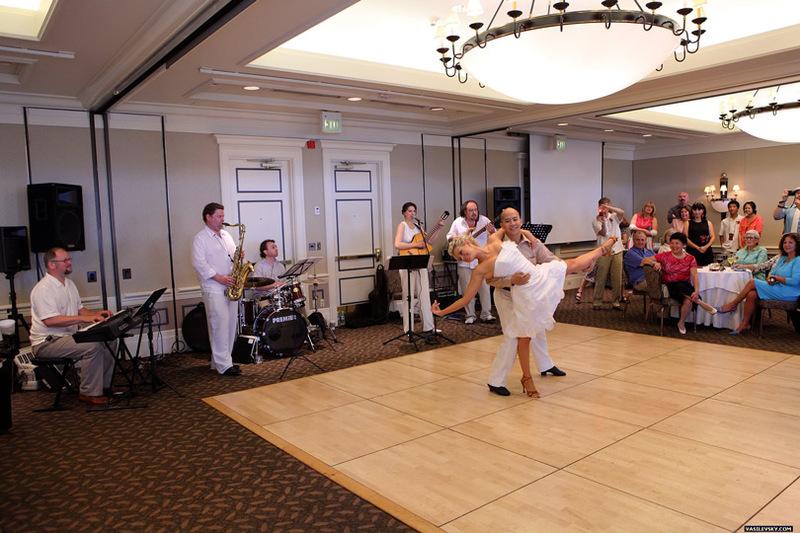 All the guests are still raving about the music at our wedding! I have already sent my comments to the local SeattleBrides@yahoo.com forum on the internet as well as posted it here locally at MS.
Hopefully you will be getting more and more requests for your performances. 5 - From the strum of the first chord, I knew our wedding day was complete! Oleg and New Age Flamenco, were stunning! An incredibly unique twist of flamenco and classical style, in an English garden-style wedding. They performed magnificently, their talents quite poised, and their attitudes were impeccable. I hope to work with these 2 in future, as I highly recommend them to anyone, as they are quite diverse. 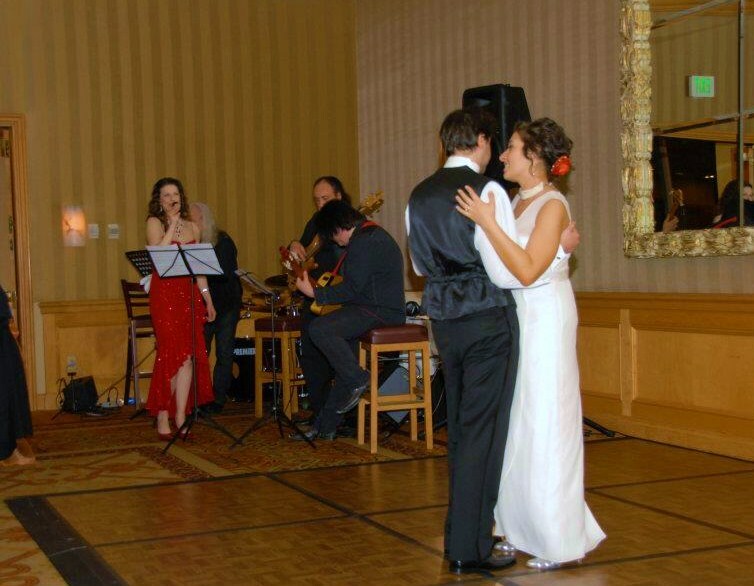 6 - "Oleg is my favorite bass player ..."
7 - We are so pleased with how the music turned out at the wedding reception! Thank you so much for carefully planning the music and adding the perfect combination of musicians. 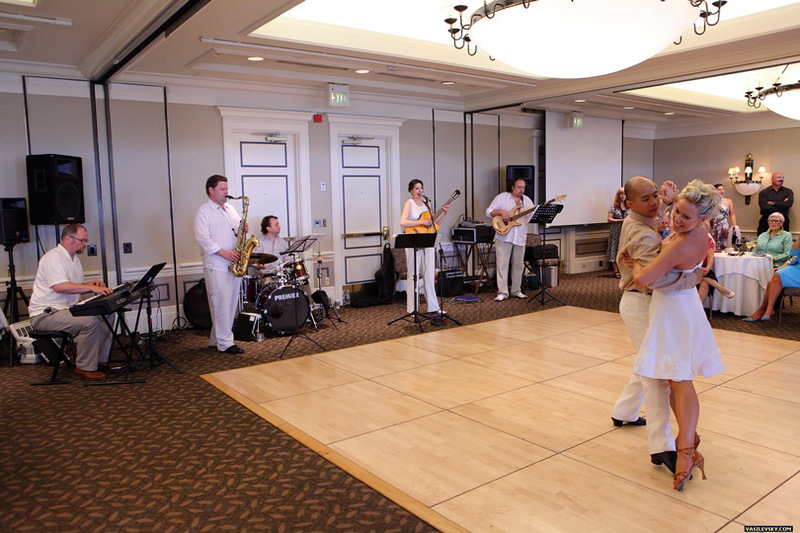 You played our wedding dance at the perfect tempo and all of our guests loved the selection of music thereafter. We only wish we could have enjoyed the music longer! 8 - I've heard the music of New Age Flamenco around Seattle over the years and we got lucky enough to have them at our Ceremony and Reception. Our wedding wouldn't have been the same without Oleg and New Age Flamenco. I won't even go into the basics [of being on time and other common sense], because these guys are simply the best in town. From their professionalism to how reliable they are to the standard of entertainment they provide, I will forever recommend them to anyone holding any event. Oleg wend above and beyond with planning the whole evening with us for literally hours and we couldn't have been more thankful. On top of that, I had the honor to perform with them at our wedding, which was one of my favorite memories through the evening! 9 - NEW AGE FLAMENCO is one of the best local bands in the NW. Their high level of professionalism combined with their musical talent and skill set is rare in this profession. The variety of repertoire will satisfy even the most sophisticated of tastes. 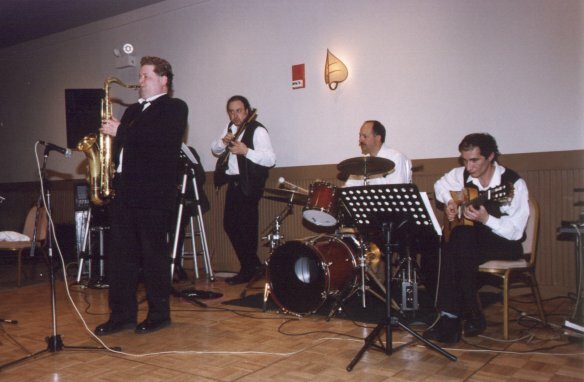 They create an unforgettable mood at our restaurant every time they are performing in Amante Pizza and Pasta Issaquah, that will remain with us and our guests forever. This Friday, ...... we all going to have the opportunity to enjoy there music again. Starting at 6.30 pm New Age Flamenco will be presenting there incredible music. 10 - New Age Flamenco helped make our wedding truly amazing. 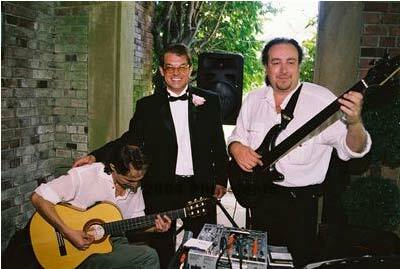 We first saw them play at a friend's wedding and were struck by their kind smiles and beautiful Spanish guitars. Oleg met with us several times over the months, coordinating with our MC and always made himself available if we needed anything. He was a mediator between families and friends with different ideas about how the wedding should go, and helped us all calm down and remember to enjoy the process and live in peace during the stress of wedding planning. We feel like Oleg is like a relative to us now and the other members of the band could not have been more talented and enjoyable to see and hear. 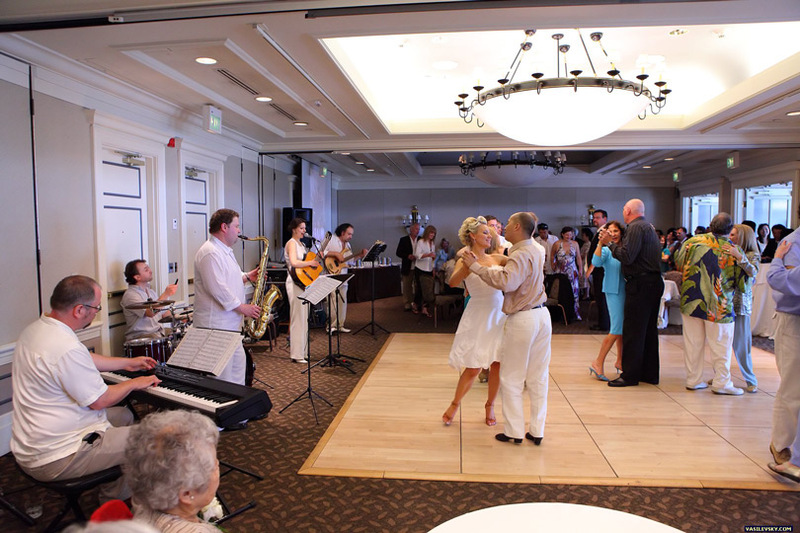 Our guests can't stop talking about how the music appealed to all of the generations present and everyone had an amazing time dancing (EVERYONE on our tiny dance floor) :) They played the music we selected, as well as their own songs that went along with our eclectic tastes. 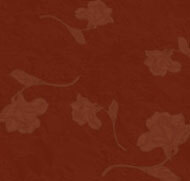 We will recommend New Age Flamenco to anyone having an event, small or large. 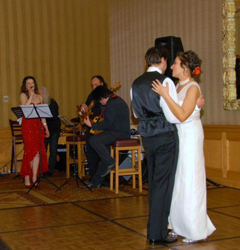 11 - "They are a wonderful and very talented set of musicians that created a joyful, fun, and intimate atmosphere for our wedding. The kind memories will stay with us forever."